Ok, couldn't get this to work. Last edited by HTMLBasicTutor; 10-25-2010 at 01:13 AM. The flaws in that graphic are legion. Its author has conflated SERP Rank factors with PageRank while failing to grasp the mathematics of PageRank. I would like to hear what flaws specifically you see. The one that jumps out at me is where it says that Google puts more value on similar sites. True for SERPs, but not for PageRank. Still, I like the concept very much. Authority is not an element of PR. Trust is not an element of PR. Similarity is not an element of PR. "Spamminess" is not an element of PR. Reciprocal links are not self-canceling. PS. MJ I see you are Asheville...we're neighbors. Which reminds me that, in addition to the flaws in that graphic that I've already listed, it, like the chart just now cited, grossly misrepresents the relative values of TBPR. The relationship between Actual PR and TBPR is statistical, not algebraic. I.e., whereas the former is linearly algebraic, as demonstrated by the published algorithm, the latter is neither linear nor exponential. In reality, there is a relatively small difference between the absolute values of the lowest and highest actual PR values. TBPR does not represent a linear mapping of Actual PR, but is instead a distribution curve of such divided into 11 frequency bands, with TBPR 6 being the median and the mode. An actual graph of such looks like this. Last edited by deepsand; 10-25-2010 at 11:00 PM. With all due respect, TBPR is not mentioned in that piece. of the non-linear nature of PageRank. of PR6 than any other value, followed by PR5, PR7, etc. So what? I dont really care how many folks have PR6. like wildfire and G tweaks...game over. Good night. Thanks for playing. But Im sure its great fun for some to try to "figure it out". Given that Actual PR is a probability, value range 0 to 1, that it is a measure of mutually exclusive events, such the grand sum of the individual PRs of all resources participating the calculation matrix must = 1, that Actual PR is never divulged by Google, and that all mentions of PR in said article are integer values, such cannot refer to anything other than TBPR. What your graph states visually is that there is a higher occurance of PR6 than any other value, followed by PR5, PR7, etc. So what? The "so what" is that it serves to demonstrate that TBPR is a statistical representation of frequency of occurrence, rather than being an algebraic represent of Actual PR. I see all the folks taking this stuff to the level of nuclear fission scientific...but ultimately its all guesswork. It's only guesswork to those who do not study and understand the mathematics involve. PageRank is formally defined as follows. d is the damping factor. Note that there are no instances of any variable being raised to an exponential power; i.e., the equation is linear. If anyone really knew anything for sure most of these discussions would evaporate. In an ideal world, perhaps. But, in the real one, there are far too many who simply rely on opinions that they've heard, proceeding to then pass along such uninformed or misinformed opinions to others. this is all that you've got......Good luck Einstein. really nice information and really precise. But i want to know one thing what are the main factors which affect and matter in PR..??? I think that's been thoroughly covered. Isn't that what you meant by precise? Put simply, the main and only factor is links. Put more precisely, please reread the thread carefully, including all sources. It may not be the most important but it is central and critical. You can have the freshest, most relevant, highest quality content, and if you don't have links, guess what, you won't be anywhere in the SERPs! So, I would have to say, PR is more important than content. And I can't think of anything else more important than content except PageRank -- unless it's relevance of both content and links (PR) to the query term. Your advice is to get links ... and PageRank is just a measurement of the quality and quantity of links you advise we get. Relevance is, as you infer, the other part of the equation. If I have a site with PR9, let's say, and all the links are related to "term a" I will probably rank at the top for 'term a' but if none of those links are for "keyword b" then even my PR9 page is not going to get any position on that term. This is one of the reasons a PR4 page can outrank a PR5 or 6 page ... relevance of links, anchor text, and content! You cannot calculate or see actual PR. Thanks for sharing this information to all of us here. 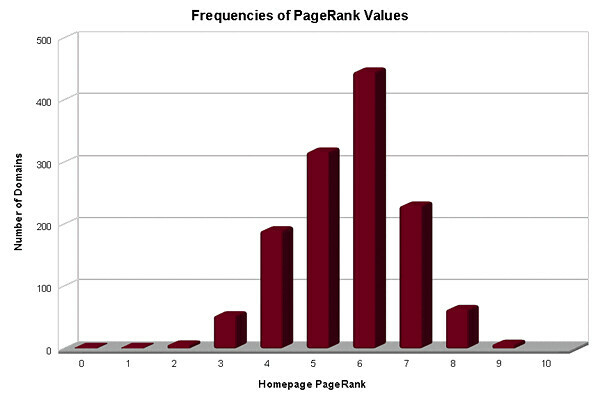 I am just thinking if page rank really matters a lot nowadays. Although everyone was so excited everytime Google made an update I was also wondering why there are some sites that don't have much pr but the traffic is really great. On the other hand, there are sites wherein PR 4 and up but the traffic is quite poor. Anyone have an idea? I am just thinking if page rank really matters a lot nowadays. Although everyone was so excited everytime Google made an update I was also wondering why there are some sites that don't have much pr but the traffic is really great. On the other hand, there are sites wherein PR 4 and up but the traffic is quite poor. Anyone have an idea? Think of links as being highways. Just because a given place has a lot of highways leading to it doesn't mean that it's going to get a lot of vehicles going there. I love the analogy. And in a natural world, links, I mean highways, would only be built to a destination that people want to reach. In the natural world, a lot of transportation links were built for which either the demand subsided, or the anticipated demand never materialized. In the virtual realm, such is almost certainly more so the case, as the cost of creating a link is negligible; likewise that of maintaining, or neglecting to maintain, existing ones. I want to know that,the PR of inner pages also increase simultaneously when the home page PR increase. and also the resign to downfall of PR ..how we can continuously mange it? The PR value of each page stands alone, being affected only by its own in-bound links. So, an internal page that is not somehow linked to the home page is wholly unaffected by any changes in the home page's PR value. And, the more removed it is, in terms of the number of intervening pages and links, from the home page the less the effect of the home page's PR. As for continuously managing PR, that you cannot do, as you cannot ever view the actual PR of any page. As already well noted, by Google's design, you can never know what your PageRank, or that of others, truly is.